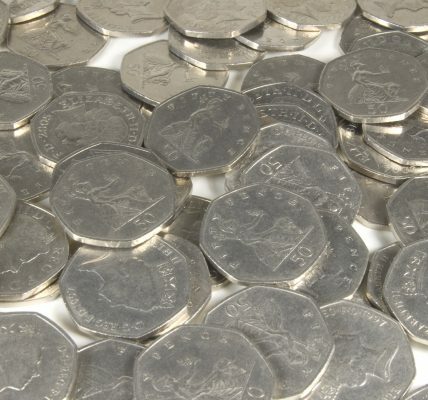 Plenty of us have accumulated a number of £1 coins over the course of our collecting lives, but what you may not realise is that there are some coins out there that are worth far more than just £1. With the new 12 sided £1 coin now in circulation, there has never been a better time for you to take a look at your coin collection and see if you can sell on some of the classic round £1 coins that have proven to be worth decent money. You may also be interested in 25 Rare British Coins worth MORE than their face value. We are experts in a wide variety of different coins, for both buying and selling. So, with this in mind we have put together some of the £1 coins that you should be checking your coin collection for. What makes a coin rare? A coin is deemed as rare when it is removed from circulation. In fact it is thought that as many as 650 million coins out there are now classed as rare, which means that you can find that they sell for a rather impressive amount of money. This 1994 Scottish coin is not going to break the bank if you decide to sell it on, but it is known to make as much as £3 when put up for sale. A rarer coin, yet one that is much more modern is this 2013 coin from Northern Ireland. Those who are lucky enough to find one of these in their pockets could make as much as £30 off of this single coin! A 2001 Welsh coin, this is the second rarest coin that you can own. The trouble with this particular coin comes with the condition. Whilst an immaculate example can make as much as £30, those that are not in great condition may only make around £5. Much like the welsh Cardiff City coin, this 2010 London version has a price that depends on condition. Again seeing as much as £30 for perfect coins, and £5 for less than pristine ones. Taking two of the most iconic images from Scotland, this 2014 coin features both a Thistle and a Bluebell. This coin can make as much as £10 if you decide to sell it on. Whilst it may be one of the oldest coins on the list, the 1988 Crowned Shield is not one of the biggest sellers. However, it can make as much as £6! Another Welsh coin, this 2013 £1 is a great coin to find in your collection. It can sell for as much as £15 if it is in excellent condition. There is starting to be a pattern in the amount that a £1 coin can attract, and that is the condition. Another coin that relies heavily on the condition is the 2013 UK Rose and Oak version. A beautiful version can make £15, but for those that have been a little more weathered, £3 will have to do. Another icon from the city, this 2007 English coin can make you around £3 if you do decide to sell it on! If you own a Flax & Shamrock Northern Irish coin, then, you may want to consider selling it on. This 2014 £1 has been seen to make as much as £34 when sold on, making it the ideal seller from your collection. Another member from the Flax family, this twice released (1986 and 1991) Northern Ireland coin could be worth as much as £17. Thought to be the rarest coin with only 935,000 in circulation, The Edinburgh City 2011 £1 coin has proven to be a popular seller, making as much as £34! Want to know more about British coins? Why not take a look at our website and discover a world of coins that are worth more than you might think? Next PostImportant points to consider before you invest.